So, a little more than a week in and I’ve lost around…1 lb. Somewhat discouraging. I’m going to stick with this exact plan for another week and if progress continues to drag its feet I’m planning on adding in running one mile a day and a day of intermittent fasting. 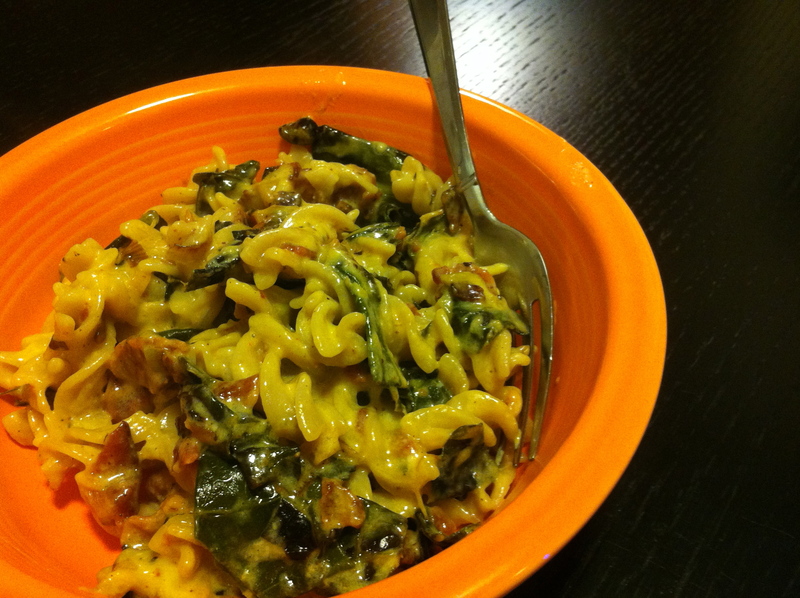 Mac n cheese with bacon, collards, and leeks. I used Trader Joe’s brown rice pasta, which is the best GF pasta I’ve found and so affordable. This spur-of-the-moment flavor combo was super tasty. 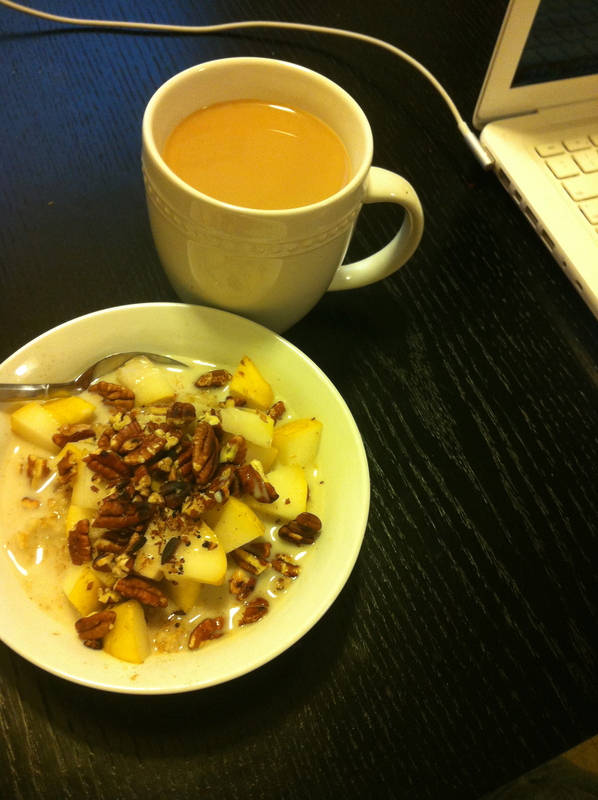 Steel-cut oats with chopped pear and toasted (oops burnt) pecans. 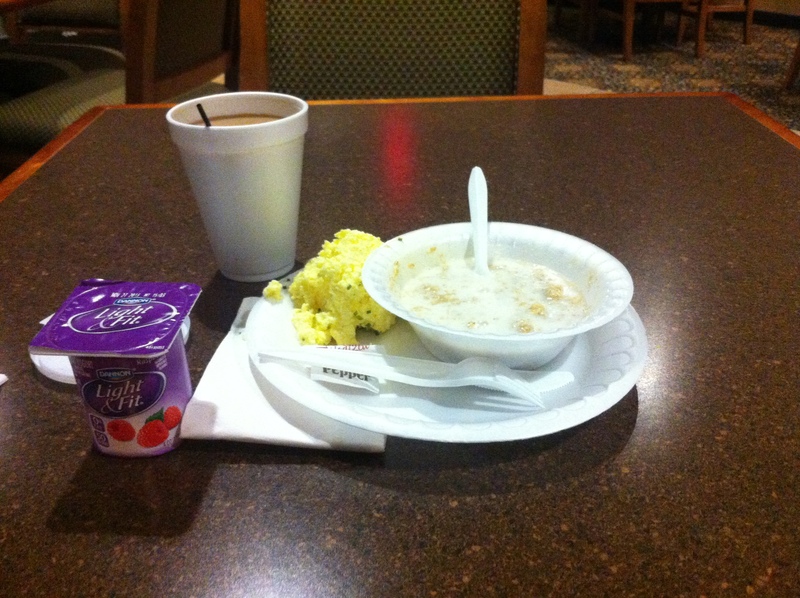 Ignore the yellowed early morning lighting…this was the breakfast of champions. Overall, the eating has been easier and more delicious than I first imagined. Yay! I’ve missed one day of yoga practice so far and was unable to make EITHER Zumba class due to my schedule. Uh-oh. I was in Chicago for a weekend yoga instructor training (more on in a later post) and I ate some chocolate and Garrett’s caramel corn. Not in egregious amounts (two servings of corn and probably seven-ish pieces of chocolate over the weekend) and I did walk and do yoga a lot, but if my weight isn’t cooperating the cheats must end. 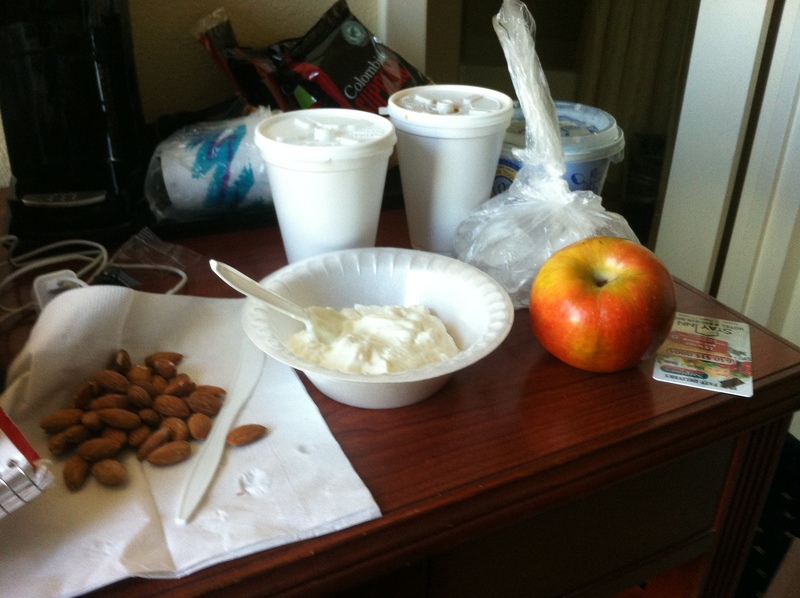 I had a weird and gross continental breakfast, but bought some apples, almonds, and plain Greek yogurt at Trader Joe’s for the next morning, which hit the spot. We also ate a P.F. 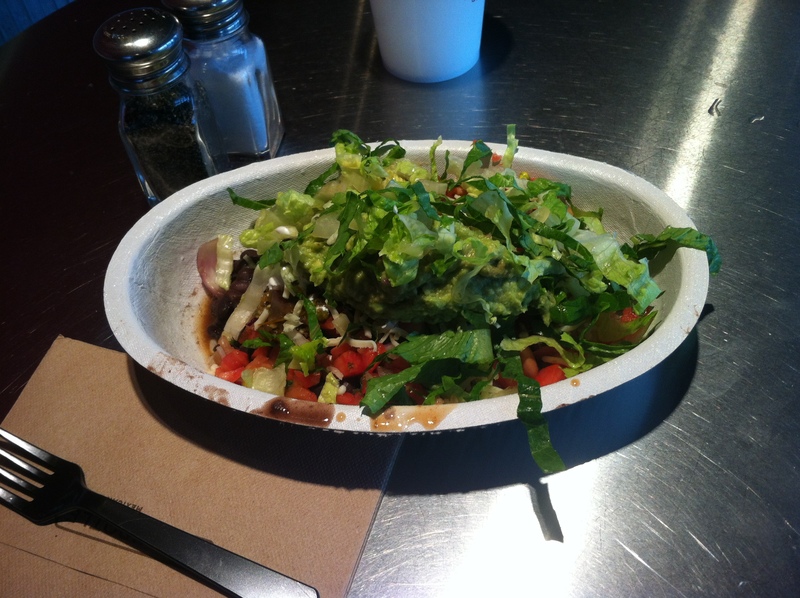 Chang’s, Corner Bakery, and FoodLife in The Watertower Place…very easy to eat healthy at all those places. Also very easy to eat TJ and Fannie May chocolate and buttery delicious caramel corn. Ehem. Onward and upward!